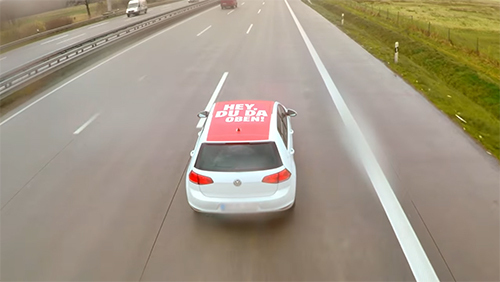 Due to strict laws, 13,000km of the German motorway network is ad-free. So to convince truckers in Germany to buy freshly grilled Whoppers, Burger King with their agency Grabarz & Partner created ads that only the truckers could see. The ads were place on the roof of multiple cars that then took turns overtaking the truckers. Once the first few cars got the truckers attention, the remainder then guided the truckers to the next Burger King. As a result many truckers gave into their temptation and followed the cars to the next XXL Burger King Drive-In. After years of public sharing and transparency on social media, people are gravitating toward more intimate, private and even anonymous ways to share, boosting the popularity of messaging apps and ephemeral messaging. Hence chat apps are becoming hubs for social networks, games, e-commerce and more. Just last week I wrote about how KLM is starting to use Facebook Messenger for customer service related queries and tasks. 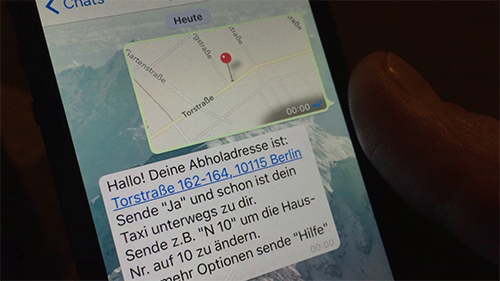 Now Taxi Deutschland has launched a new service called “WhatsApp Taxi” to allow users in major German cities to order a taxi by simply sharing their location via a Whatsapp message. Watch the below demo video to see how easy it is to use. 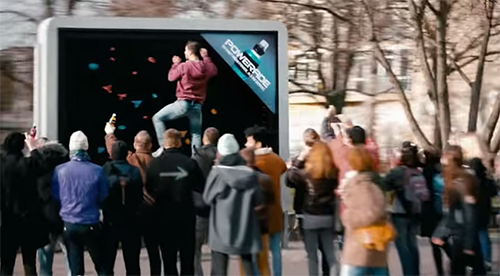 Powerade with the help of Ogilvy & Mather setup several workout billboards in Berlin that apart from advertising the product, also doubled up as workout equipment to emphasize the brands attitude “You have more power than you think”. People practicing their rock climbing, weight lifting and boxing skills on the unique billboards were also rewarded with some free Powerade to help replenish their electrolytes. 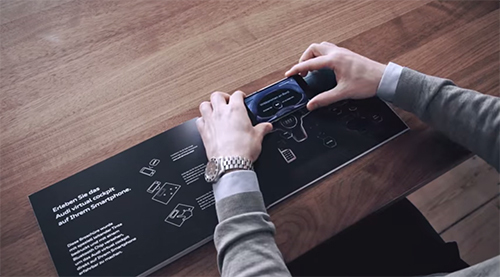 Transforming classic print surfaces into smart touch based surfaces through special conductive ink and sensors has been around for a while now. 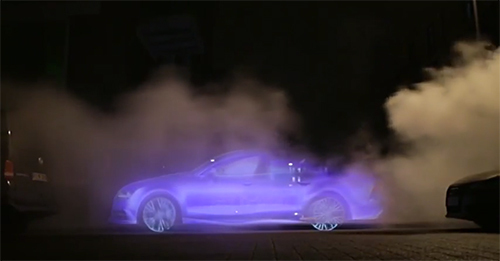 But still I thought the below execution from Audi is worth a mention, as its a step forward for the technology since it surfaced in 2014. The Audi TT is the first Audi model to feature a revolutionary Virtual Cockpit. So to inspire customers, digital agency Razorfish Germany used conductive ink, haptic feedback, Bluetooth and a custom smartphone app to transform the cars conventional sales brochure into a smart surface which gave viewers an augmented touch based journey through the cars Virtual Cockpit. The new Audi A7 Sportback h-tron is built using zero emission fuel cell technology coupled with a hybrid battery and electric motor in the rear. Due to this the car gives out nothing but water vapour from its exhaust.